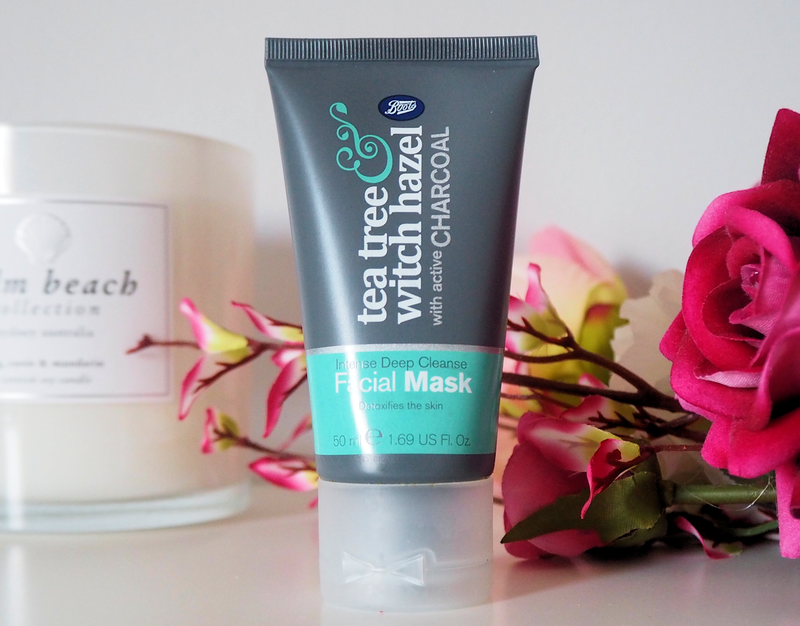 Charcoal Face Masks are This Tea Tree & Witch Hazel Charcoal Face Mask by Boots is one I have used on and off over the past couple of years. It reminds me of GlamGlow’s Supermud treatment. Supermud sets to a dry finish, this one doesn’t. They both have a similar consistency, they’re very runny and both are charcoal in colour, they do have different scents though. Supermud has a liquorice scent and this has a strong scent of Tea Tree. I adore Supermud, it’s amazing. It is without a doubt one of the best face masks I have ever used. I’ve gone through countless tubs of it – it’s my most repurchased mask without a doubt. I use Supermud all over my face and have not had any negative reactions luckily. As I said above it does dry down although once I rinse it off my skin looks so clear and refreshed but without feeling tight or uncomfortable. This mask by Boots I much prefer to use as a spot treatment only. In my experience it turns slimy when I’m washing it off and makes a mess of the sink (and me! ), I put this down to the fact it stays “wet” on the skin and doesn’t dry down like Supermud. I much prefer when masks like this do dry down. Removal is easier and less messy too. It does a great job of drying out spots that are above the surface, and for those pesky ones that are yet to appear, it helps to draw them out. Normally I use a paintbrush style foundation brush (for example MAC 190) when applying a mask like this, but for this mask I prefer to use my fingers, because it takes ages to remove it from brush bristles and washing it off my hands is easier and quicker too. I do like that it comes in a tube so it is easy to squeeze out as much as you need and when you are near the end you can cut it open to get the rest, that’s a big plus for me. Despite being a nice spot treatment, I wouldn’t rely on it like I would with Supermud, which is better, but also more expensive. GlamGlow is €35-€45, depending on where you purchase it. This is under €10, naturally because there is such a price difference both products, however, if you’re looking for an inexpensive spot treatment this may be one to pick up and try. It won’t break the bank so even if you don’t like it at least you won’t have spent a fortune on it. It is a nice affordable alternative to Supermud, particularly if you are on a budget. However, if you’re not on a budget, then I would go with Supermud. It’s expensive, but it is 100% worth it, it really, really is. I do really like this but because I always have Supermud in my stash, I don’t think I would repurchase this. Now, if I was all out of Supermud and had a spot or break out, I would in a heartbeat repurchase this. You can purchase this mask here for €6.49.